I recently sat down to do devotions. I had skipped a few days and had been tempted to fall into the mindset, “it’s not that helpful to read the Bible every day.” Note that this generally happens when I haven’t done devotions in a few days. Well that morning, every passage was speaking to me. But the scripture says, “many are the troubles of the righteous…” and “…none will be punished who trust in him.” and, elsewhere, “There is now, therefore, no condemnation in Christ Jesus.” So why do we think that difficulties or tragedies in life are somehow punishments? Is God the impartial judge handing out cruel and unusual punishments to those he supposedly loves? Well maybe a misunderstanding of the Cross has distorted our view of God. 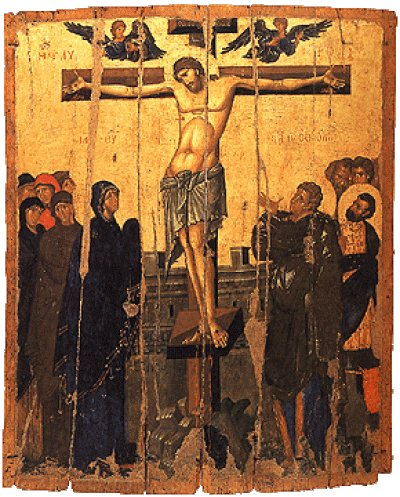 We often use judicial or economic language to metaphorize the cross: “It’s like if you were going to be condemned to death for your crimes, but the son of the judge jumped up and said, ‘I will die for him.’ And the judge said, ‘oh perfect, let me take out my wrath on you. As long as I have someone to kill for this crime, I will be satisfied'” Wait what? That’s kind of terrible. How should we feel about a God like that? Instead, we should look at the cross like this: We turned from God. God never gave up on us, but sent prophets and eventually his son to turn us back to him. Except that we could not accept God’s redeeming work but had to take out our guilt and anger on those who came to reconcile us. We continually persecuted and killed his prophets in our attempt to alleviate our own guilt and have our own way. So, Jesus took on himself all of our anger and hate and fear(the iniquities of us all) and gave himself up for us in perfect union with the Father. So the Father watched and wept as we put all of our sin onto him who knew no sin. It was not the Father’s wrath that was appeased that day, but our own wrath was absorbed by love and forgiven by grace. The Father somehow thought it was worth the sacrifice of his son to gain us. We were the pearl of great price and he went and sold all he had and bought that pearl. That’s the story of redemption. So when we fall, when times are hard, when we think that God has forsaken us, we can turn to the cross and know that God loves us, God is not mad at us, and God will never leave us or forsake us.